We are still harvesting rhubarb from our garden. If you have rhubarb in your garden check some of my rhubarb recipes for Roasted Rhubarb Jam, Rhubarb Custard Crisp and Caramel Rhubarb Upside Down Cake. All of these are delicious ways to enjoy rhubarb. But today I’m sharing a new recipe I created that goes great with the summer weather. 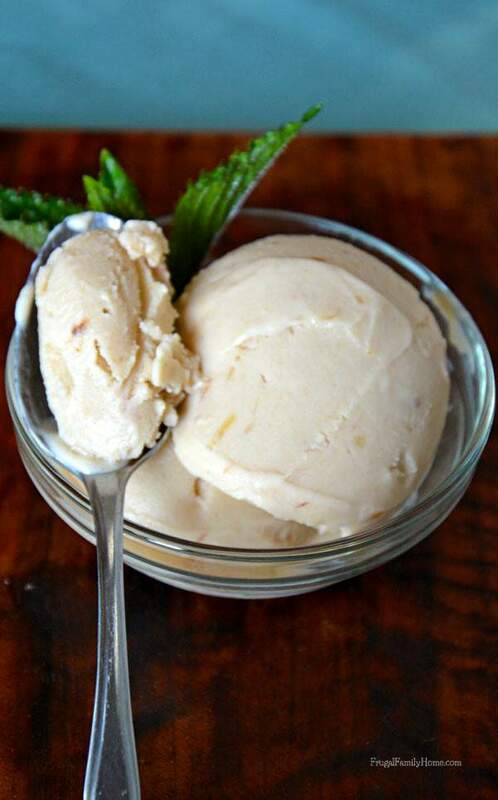 Roasted Rhubarb Ice Cream, that’s dairy free. Now I know you might be thinking diary free ice cream yuck! When you see tofu in the ingredients list you might even be more apt to run the other direction, far, far, away. But really this tofu ice cream is really good. You won’t even know that there is tofu in it. One day after I had just made a batch of the chocolate chip tofu ice cream, my neighbor stopped by. They also try to eat dairy free for heath reasons and I asked her if she wanted to sample the ice cream. She asked what was in it and immediately thought it would taste awful. So I gave her some to try and she really loved it. 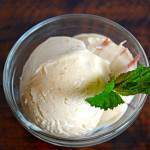 Want to find more homemade dairy free ice cream recipes? Click here to see my tried and true homemade dairy free ice cream recipes and recipes for dairy free toppings too. To make this recipe you will need a blender and an ice cream maker. I’ve included instruction below for freezing it without an ice cream maker, just in case you don’t own one. My favorite ice cream maker is a Cuisinart. I also have a 4 quart ice cream maker that takes ice and rock salt. I use it if I need to make a big batch when we are having company over. (affiliate links) But I find the smaller ice cream maker works great for our family. I start out by roasting the rhubarb in the oven. The roasting brings out the flavor and breaks down the strings that are in the fruit (is rhubarb technically a fruit?). Once it’s roasted and cooled. I prepare the ice “cream” in the blender and add the rhubarb at the end to blend it in. Freeze in the ice cream maker and then let sit in the freezer until firm. That’s all there is to this easy ice cream recipe. 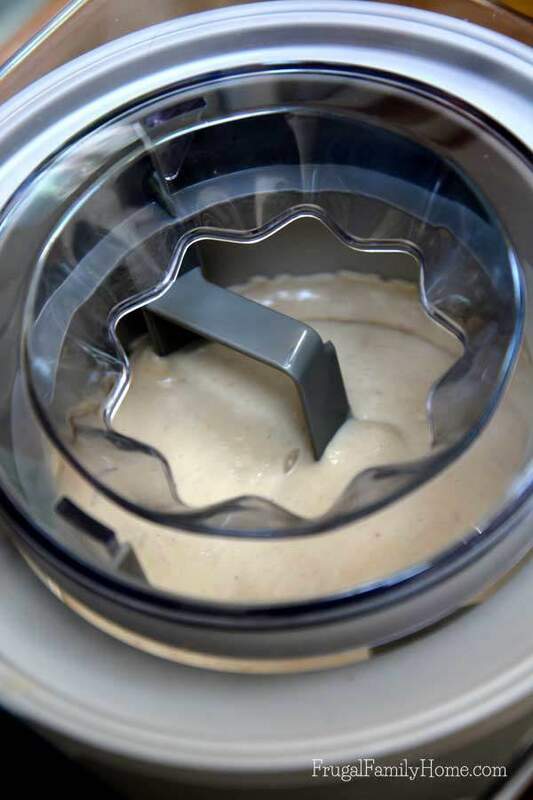 If you don’t have an ice cream maker you could mix up the ice cream in the blender and then add it to a baking pan and freeze for about 45 minutes. Check to see if the ice cream is starting to freeze around the edges. If it is take it out and stir it well with a whisk or spatula. Return the ice cream to the freezer and check and stir it every 30 minutes until it is ready. Which will take about 2-3 hours. Place the cut up rhubarb into a baking dish and mix in the brown sugar. Roast in the oven on 400 degrees for about 40 minutes or until the rhubarb is soft. Stir to break up the rhubarb chunks and refrigerate until cooled. In a blender add the tofu, soy milk, oil, sugar, salt and vanilla. Blend until smooth. Add in 1/2 cup of the roasted and chilled rhubarb. Blend to mix the rhubarb in. Pour the mixture into a ice cream maker and freeze. Once done place ice cream into a freezer container and freeze for at least 2 hours. Do you think this is a recipe you might give a try? What’s your favorite flavor of ice cream? 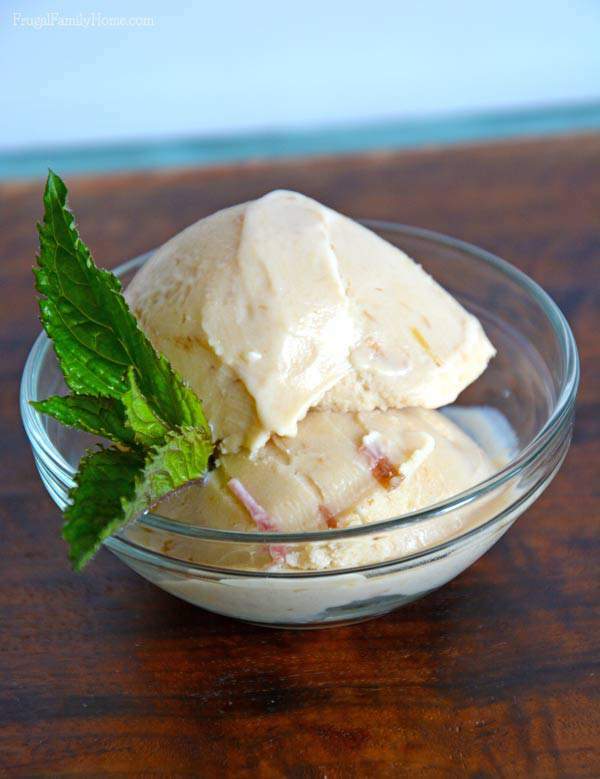 I never would have thought to put rhubarb in ice cream! 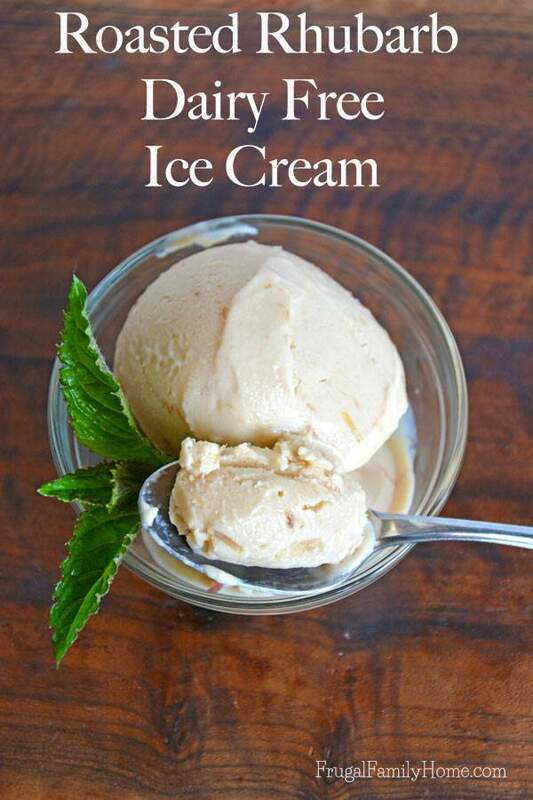 Great looking ice cream – I’ve pinned the recipe to try this summer. Thanks! Thanks for pinning the recipe and I hope you enjoy it as much as we did. I love that it is dairy free! Yum! This ice cream looks so good, Shelly! I also love that it’s dairy-free. It does look really good…I never would have guessed that tofu is a main ingredient! That would have to be kept a secret from my husband, who would never try anything with tofu in it, after I bought him tofu hot dogs once. Thanks for sharing this Shelly!